Scirj invites Scientists, Academicians and Researchers to submit their original research / review articles for publication after a thorough review with eminent professionals in the same field. 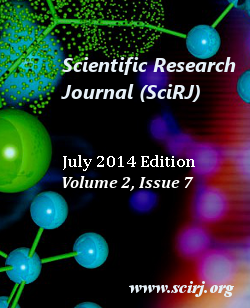 Original research/review articles in areas of Science, art, management, technology and allied fields are invited for publication in quality monthly subscription of Scirj. Here in SciRJ we use peer-review for selecting the papers for publication. All the papers will be refereed and peer-reviewed by minimum three experts. Authors are requested to read and strictly follow the submission guidelines mentioned below before submitting your papers.